Event after event, it's a busy May for Microsoft. A few days ago was the big Education event, launching Windows 10 S and the Surface Laptop (plus many cheaper third party W10S devices), then there's BUILD, the developer conference, next week, no doubt with more on Windows 10 on ARM and more on UWP app rollout. And now Microsoft has announced another event, in Shanghai, almost certainly to show off the new Surface Pro 5 - but could there be more? 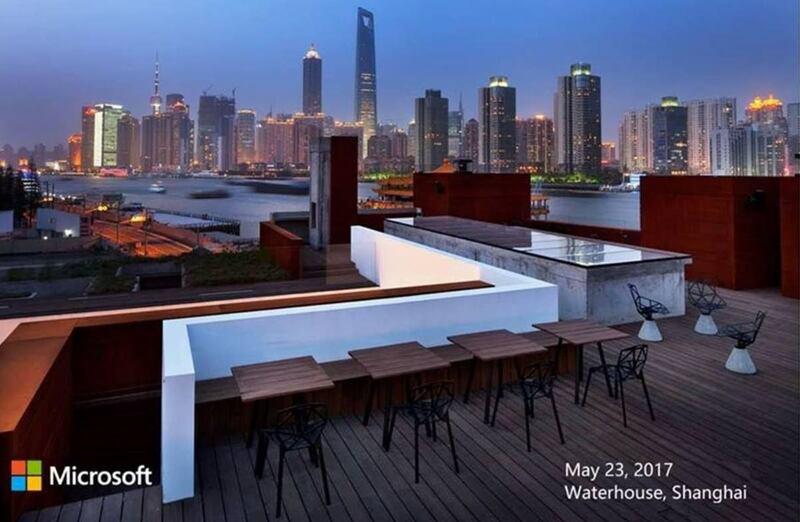 On May 23 in Shanghai, Microsoft will show the world what's next. The event time is down as 7 pm China Standard Time, which is midday in the UK, rather conveniently. A new device in the Surface Pro line is a shoe-in, as that's overdue, but I'd also expect more on Hololens and 'Mixed Reality'. A 'Surface Phone' can't be rolled out, either - at some point Microsoft has to at least tease that it's got plans for new category-defining hardware in 'mobile', whether this comes in phablet, clamshell (think Nokia E7-style) or folding-screen form.